Ryals & Agricola is a full-service law firm which concentrates its practice in civil litigation. Solving problems for our clients through diligent, attentive, and creative strategies, both inside and outside the courtroom, allows our clients to get back to what they do best: their business. Each of the firm’s attorneys is an experienced, first chair litigator. We litigate aggressively and fairly, always focusing on obtaining the best possible result for our client in the most cost-effective manner, while adhering to the highest ethical standards of professional conduct. More than one hundred years of combined experience has taught us that this approach to the practice of law is the key to successful representation of our clients. We represent a wide array of national, regional, state and local clients including publicly held corporations, banks and insurance companies, partnerships, privately held corporations, joint ventures, and individuals. We serve our clients in the areas of administrative law, health care law, election law, construction law, pest control law, transportation law, manufactured home dealers liability law, manufactured home installers liability law, corporate law, commercial liability law, insurance law, real estate law, title insurance law, premises liability law, mental health law, nursing home liability law, pharmacy liability law, long-term care liability law, dram shop liability law, financial services liability law, probate law, employment and labor law (management), lender liability law, mortgage liability law, mortgage servicing liability law, mortgage broker E&O, and other areas of practice. Members of the firm are currently licensed in Alabama. The backbone of our practice is defending our clients who are named as parties in civil litigation. For any business or individual, litigation can be a costly distraction from other important strategies and goals. We strive to minimize the burden imposed on our clients by litigation so that they can attend to their business while we handle their cases competently, efficiently, and aggressively. We formulate a litigation plan tailored for each case at the outset. We keep each client fully informed of developments in each case and constantly evaluate and revise each litigation plan. We also recognize that, where appropriate, avoiding litigation altogether can be the best litigation strategy of all. We aggressively explore resolution of disputes through alternatives to litigation whenever that strategy is in our client’s best interest. However, when litigation is unavoidable, we have convinced judges and juries all over Alabama, in both state and federal courts, to find in favor of our clients. The attorneys in our firm have extensive experience defending claims based upon allegedly defective products. Our attorneys have represented manufacturers, suppliers, retailers and installers in a wide variety of cases alleging claims under the Alabama Extended Manufacturer’s Liability Doctrine (AEMLD), negligence, breach of warranty, failure to warn, and other types of claims arising out of allegedly defective products. Our experience includes representation of clients in cases involving claims based upon prescription medications, automobiles and other motor vehicles, power tools, construction materials, industrial machinery, farm equipment, heavy equipment, and others. Our attorneys have experience in representing the retailers of manufactured homes throughout the southeast. In addition to the representation of retailers in the manufactured housing industry, our attorneys have represented installers of homes as well. This representation is in the defense of claims alleging fraud, improper setup and installation, negligent transportation, breach of express warranty, breach of implied warranty, Magnuson-Moss Warranty Act claims as well as negligence and breach of contract. It is our goal to provide effective risk management counsel to our clients, to assist them in avoiding violations of numerous HUD regulations as well as state regulations that govern the business of manufactured and modular housing. Our attorneys have been involved in a significant number of arbitrations dealing with the manufactured home industry. We take an aggressive approach toward investigating allegations against our client. Where possible, we make an early determination on liability questions. This approach assists our clients and their carriers in decisions about possible early resolution of the case. We believe that our clients often benefit from minimizing their exposure in the media. Our firm serves as coverage counsel for several insurance companies throughout the state of Alabama. Also, we provide regional coverage counsel for our clients. We provide timely and comprehensive coverage opinions and analysis to primary and excess insurance companies, and when necessary, draft and litigate declaratory judgment actions in both federal and state courts throughout Alabama and other states. We handle coverage opinions and analysis in all of our practice areas. Agriculture is big business in not only Alabama, but also in the Southeast. We provide legal services to a broad range of agricultural interests throughout the state, from single-farm businesses to major corporations. Our attorneys have experience in representing farms that have had cross-crop fertilization claims as well as cross-contamination. Through this experience, we advise and advocate for our clients on a wide range of matters from USDA compliance as well as EPA compliance. Through our experience and roots in this state, we understand legal issues that affect the agricultural industry. Our attorneys have extensive experience representing owners and operators of assisted living facilities both inside and outside Alabama. The regulatory climate in Alabama is very different from that found in other states. The Alabama Department of Public Health has determined to take harsh regulatory action against operators of assisted living facilities that do not comply with laws and regulations. Our firm has been successful in dealing with these situations on behalf of our clients through litigation where necessary or through skillful negotiation of regulatory solutions that are palatable to those who regulate and to those regulated. The firm has also defended claims against assisted living facilities such as premises liability claims and personal injury claims. Attorneys from our firm have been featured as speakers at the annual conferences of the Assisted Living Association of Alabama, for which we serve as General Counsel. Through their substantial experience in litigating pest control related claims, our lawyers have gained knowledge and experience to defend chemical exposure cases. This experience enables our attorneys to provide practical advice to help clients resolve chemical exposure claims, and the knowledge to defend those claims once they result in litigation. Our attorneys analyze the evidence by investigating the matter fully. Each case is scrutinized early in the litigation process to determine the best defense strategy including whether the claims made are consistent with the alleged chemical exposure. Our attorneys also have extensive experience in handling various types of construction and construction defect litigation matters on behalf of homebuilders, contractors, general contractors, and various types of subcontractors. Our experience includes defending numerous types of cases involving claims based upon the failure to adhere to plans and specifications, claims of defective foundations, plumbing defects, electrical defects, roofing defects, E.I.F.S. claims, claims arising out of utilities construction, and many other types of construction defect claims. With over a hundred years of combined experience, there are very few matters that our lawyers have not handled in litigation. As the volume of litigation has increased, so has its complexity. The experience of our lawyers enables them to litigate successfully not only complex litigation, but also complex class action litigation. Several of the attorneys have defended state, regional and multi-district litigation cases. Our attorneys work diligently to provide the best representation our corporate clients demand and deserve during this type of litigation. One of our attorneys has extensive experience litigating claims against the pest control industry. Our attorneys have won numerous defense verdicts in pest control matters, have successfully arbitrated cases in Alabama, and have successfully mediated countless others in over a dozen states. One of our attorneys has held a certified pest control operator license. The variety of cases that our attorneys have handled in this area includes chemical exposure, toxic mold, breach of contract, bed bugs, property damage, negligence, misrepresentation, consumer protection act claims, wood infestation report claims, E.I.F.S., and a wide variety of termite claims. Each of the attorneys in the firm has extensive experience in defending claims for catastrophic injury, wrongful death and property damage brought against owners, operators or management companies of commercial properties. These entities include hospitals, nursing homes, schools, motels, inns, hotels, shopping centers and convenience stores. Premise liability claims are frequently found in false arrest and imprisonment cases, dram shop litigation, negligence claims, and slip and fall matters. Our attorneys have also defended private security companies for claims arising as a result of violent crimes occurring on commercial properties, whether as a result of negligence, inadequacy or failure to access and address properly the risk of a potential crime on property. Through the multiple years of experience in defending premise liability cases, our lawyers recognize the distinctions in the status of the claimant on premises and how that status affects the premises owner. With commitment and purpose, our lawyers put forth the most compelling and aggressive defense possible for our clients. The threat that expansion of the law of bad faith will result in greater liability exposure faced by insurance companies is ever present in the State of Alabama. The firm’s attorneys have significant experience in defending bad faith claims against insurers. We provide a complete range of legal services to assist insurers in avoiding and defending bad faith litigation. Our services include the counseling of claims and underwriting professionals and in-house seminars on bad faith law. We employ a vigorous and aggressive defense approach to bad faith litigation, including class action. Our firm has extensive experience with election law and legislative revisions to Title 17 of the Alabama Code which governs all aspects of the election process. In Alabama, the Probate Judge in each county is the chief election officer. We have been privileged to represent the Alabama Probate Judges Association for several years. We have recently handled election contests in races for mayor, county commission, and circuit judge. We are frequently called upon to advise local and statewide political campaigns concerning issues arising out of the Fair Campaign Practices Act. One of our members was a lead counsel for Perry Hooper, Sr. in the historic litigation involving the 1994 race for Chief Justice of the Alabama Supreme Court. Lasting over eleven months, that litigation involved three trips to the U.S. Supreme Court and culminated in the investiture of Perry Hooper, Sr. as the first Republican Chief Justice of the Alabama Supreme Court in over 100 years. Two members of our firm have served as criminal prosecutors during their careers. With this background and experience, we have represented individuals accused of criminal conduct by state and federal authorities in the connection with the operation of their businesses. We have also been asked to represent clients who have been the victim of bank fraud and who have responsibility under federal law to report such activity to appropriate authorities. A significant portion of our firm practice is dedicated to transportation law. Our attorneys have experience in representing major insurance carriers and their clients in actions resulting from motor vehicle accidents of all types, including uninsured or underinsured motorist claims. Our practice is committed to moving these matters aggressively toward a positive outcome for our clients. As a service to our clients, we provide seminars to adjusters and other claims personnel involving updates on case law, effective strategy to move claims toward conclusion and other services. Defense of bad faith and resulting exposure is an expanding area faced by our insurance company clients. Our attorneys have significant experience in defending bad faith claims against insurers. We provide a wide range of legal services to assist insurers not only in defending bad faith claims, but also in avoiding them. 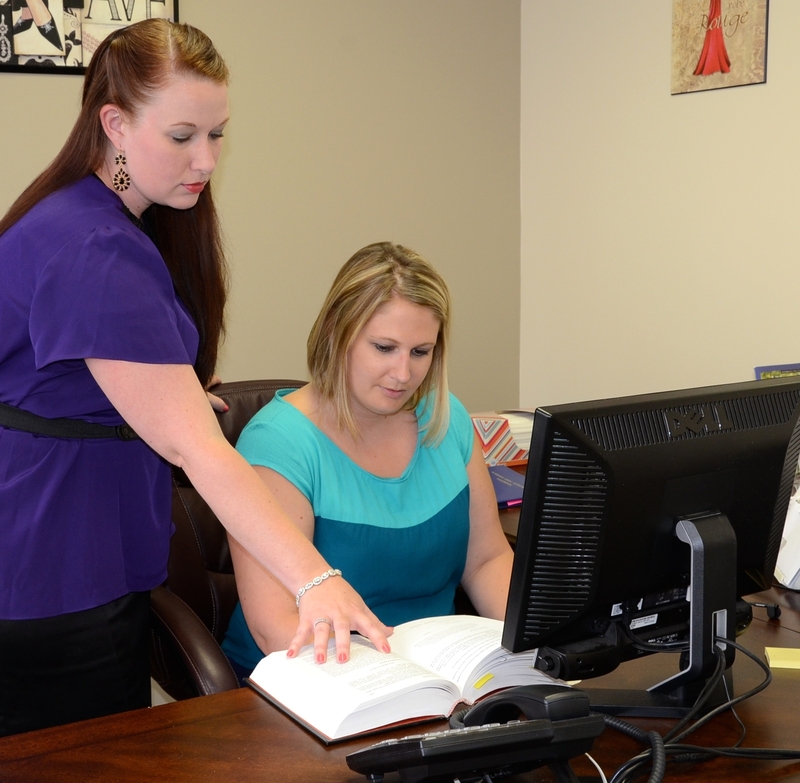 Our services include the counseling of claims adjusters and other in-house personnel. We conduct in-house seminars on bad faith law and practice, including vigorously defending bad faith claims. Our firm has experience in defending pharmacists and pharmacies involving negligence and other claims against these professionals and their business. Our practice includes representation of pharmacists and pharmacies in dealing with claims of prescription errors and labeling or contents, identification of potential reactions with various medications, sufficiency of pharmacy counseling, and other claims against these professionals. As part of our transportation law practice area, we represent individuals and corporate clients, along with their insurance carriers in providing a defense of litigation resulting from claims in suits involving transportation of goods, passengers, or both. We can provide a defense involving tort claims, contract claims or other claims associated with your trucking business or provide these services on behalf of a liability carrier. Our attorneys have extensive experience in litigating transportation-related claims throughout Alabama and other states. Our attorneys also have substantial experience litigating real estate matters, including the representation of the title insurance industry. We are experienced in handling different types of real property disputes on behalf of owners/borrowers and lenders including quiet title actions, easement disputes, claims for slander of title, instrument reformation, tax sale disputes, boundary line disputes, and title insurance coverage issues. The firm also has extensive experience in other real estate related litigation such as the representation of real estate agents and brokers in matters involving claims of negligence, fraud, and other claims arising out of real estate purchase and sale transactions, real estate errors and omissions claims, claims against property managers, and others. One of our attorneys has lectured on several occasions about title insurance matters and title disputes. The attorneys in our firm also have significant experience defending various types of professional liability claims. We are experienced in the defense of claims against architects and engineers in cases alleging improper design, fraud, and other types of claims arising from their involvement in the design of residential and commercial structures, redesign, renovations, and various other projects involving design professionals. We also have extensive experience representing real estate professionals, such as agents and brokers, involving claims of negligence, fraud, and other claims arising out of real estate purchase and sales transactions, real estate errors and omissions claims, claims against property managers, and others. Our experience also includes representation of real estate appraisers in cases involving claims of negligence, fraud, and other claims arising out of appraisals of residential and commercial properties. Our firm has successfully represented many clients before a variety of state agencies which exercise regulatory authority over our clients by virtue of licenses or privileges granted to them through state agencies. These agencies include the State Health Planning and Development Agency (SHPDA), the Alabama Department of Public Health, the Alabama Board of Dental Examiners, the Alabama Board of Medical Examiners, the Alabama Medical Licensure Commission, the Alabama Nursing Board, the Alabama Pharmacy Board, the Judicial Inquiry Commission, the State Licensing Board for General Contractors, the Alabama Department of Human Resources, the State Personnel Board, the Alabama Department of Environmental Management, the State Employees Liability Insurance Board, and others. In Alabama, the administrative hearing before the regulatory agency is generally the best and only opportunity to present evidence on behalf of the regulated client. Thorough preparation and aggressive representation at this stage of the proceedings is critical to achieving the best possible outcome for our clients. One of our members has been appointed to serve in the past as an Administrative Law Judge for the State Health Planning and Development Agency (SHPDA), the Alabama Department of Environmental Management (ADEM), and currently for the Real Estate Appraiser Board. Members of our firm have held positions in county, state, and federal government during their careers. This experience has greatly facilitated our ability to represent clients successfully in the course of their interactions with government. Further, the relationships we created by having worked in government and with government officials fosters our ability to relate on a personal level with decision-makers at local, state, and federal levels. We believe the intangible quality of these relationships enhances our ability to serve the needs of our clients. Our firm has extensive experience defending a wide variety of fraud and misrepresentation cases. We have extensive experience defending claims of fraud and misrepresentation in connection with many different types of consumer transactions such as the purchase/sale of automobiles, the purchase/sale of manufactured homes, the purchase/sale of new and used residential and commercial structures, and other fraud and misrepresentation cases arising out of virtually all types of consumer purchase and lease transactions. Our attorneys also have extensive experience representing the insurance industry in cases involving fraud and misrepresentation in connection with the sale of a wide variety of insurance products, claims arising out of policy renewals and amendments, claims based upon the type and amount of premiums charged, and many others. Our attorneys also have extensive experience representing real estate agents, real estate brokers, homebuilders and developers in cases involving claims of fraud and misrepresentation arising out of the development, construction and sale of both residential and commercial property. Our attorneys also have extensive experience representing banks, mortgage companies and mortgage servicing companies in various types of mortgage-related litigation including claims for violations of the Truth In Lending Act, Homeowners Loan Act, the Real Estate Settlement Procedures Act, and other statutory based claims, as well as cases involving an extensive variety of common law based claims. In cases where it is beneficial to our clients, we pursue mediation as a practical and cost-efficient means of resolving disputes. Our attorneys have extensive experience resolving cases through mediation. One of the firm’s attorneys is a registered mediator and is appointed by the Courts routinely to serve as a mediator. Furthermore, members of the firm have arbitrated cases in several jurisdictions. The firm’s attorneys believe that mediation benefits litigants on both sides of a dispute by offering the opportunity to resolve disputes early in the process before substantial costs are incurred and by allowing both sides to put the matter behind them and go forward. Attorneys from our firm have for many years represented nursing homes throughout Alabama. This representation has consisted of assistance to our clients from the onset of a claim until final adjudication or settlement. When possible, a claim is quickly analyzed, and our recommendation is made to our client regarding a resolution as soon as possible. When faced with litigation, our goal is to defend aggressively those cases in which our client has clearly not breached the standard of care, resolving the case at the dispositive motion stage when possible. Our attorneys believe communication is vital in long term care cases. Our clients are advised of developments which affect their case in a timely manner. We strive to provide our clients with the information and advice necessary to make the decisions which are crucial in this field. J. Lenn Ryals was admitted to the Alabama Bar in 1995. He received his B.S., B.A. and MBA from Auburn University at Montgomery in 1991, and his J.D. from Jones School of Law in 1994. He maintains memberships in the Alabama Bar Association, Montgomery County Bar Association, and the Alabama Defense Lawyers Association. Lenn’s concentration is litigation: transportation litigation, Liquor Liability/Dram Shop Liability, pharmacy liability, bad faith litigation, trucking liability, and insurance defense. Algert S. Agricola, Jr. was admitted to the Alabama Bar in 1978. Algert received his Bachelor of Arts from Tulane University of Louisiana in 1974 and his Juris Doctorate from the University of Alabama School of Law in 1978. He served as Law Clerk and Staff Attorney, for the Alabama Court of Criminal Appeals from 1978 to 1980. He served as Law Clerk to Judge Truman M. Hobbs, U.S. District Court, Middle District of Alabama, in 1980. Algert was appointed Assistant Attorney General for the State of Alabama, Civil Litigation Section, and served from 1980 to 1987. Algert served in the administration of President Ronald Reagan as an Assistant U.S. Attorney, Middle District of Alabama, Criminal Division and Civil Forfeitures from 1987 to 1989. Algert is a member of the Montgomery County Bar Association and the Alabama State Bar Association. His concentrations are in election law, constitutional law, long term care, insurance coverage analysis, mental health law, employment practices litigation, premises liability, administrative law, and white collar criminal. Algert has been appointed to serve as a Special Assistant Attorney General while in private practice to represent the interests of the State of Alabama and its employees. He is currently serving as an Administrative Law Judge for the State of Alabama. Algert is a past president of the Hugh Maddox Inn of Court and is current president of the Montgomery Chapter of the Federalist Society. John S. Plummer was admitted to the Florida bar in 1986 and licensed to practice law in all Florida State Courts. He was admitted to the Alabama Bar in 2000. John received a B.S. in Accounting from the University of Alabama in 1982 and his J.D. from Cumberland School of Law of Samford University in Birmingham, Alabama in 1985. He is a member of the Florida Bar Association, Alabama Bar Association, the Alabama Defense Lawyers Association and the Montgomery County Bar Association. His areas of concentration are insurance defense, trial practice, personal injury, wrongful death, insurance coverage, real estate litigation, professional liability defense, pest control litigation, banking litigation, real estate agent E & O litigation, commercial litigation, construction litigation, construction defect litigation, title insurance litigation, products liability defense, automobile accident litigation, mortgage litigation and mortgage servicing litigation. Jeffrey W. Smith was admitted to the Alabama Bar in 1983. He received his B.S. degree from Huntingdon College, Montgomery, Alabama, in 1968, and his J.D. from the Jones School of Law in 1983. Jeff is a member of the Alabama State Bar and Montgomery County Bar Association, as well as the Alabama Nursing Home Defense Lawyers Association. Jeff concentrates his practice in general civil litigation, personal injury law, products liability, insurance coverage, general insurance defense, property insurance, fire litigation, nursing home defense, premises liability and mental health litigation. Jeff is a registered mediator, having mediated an average of twenty-five cases a year for over six years.